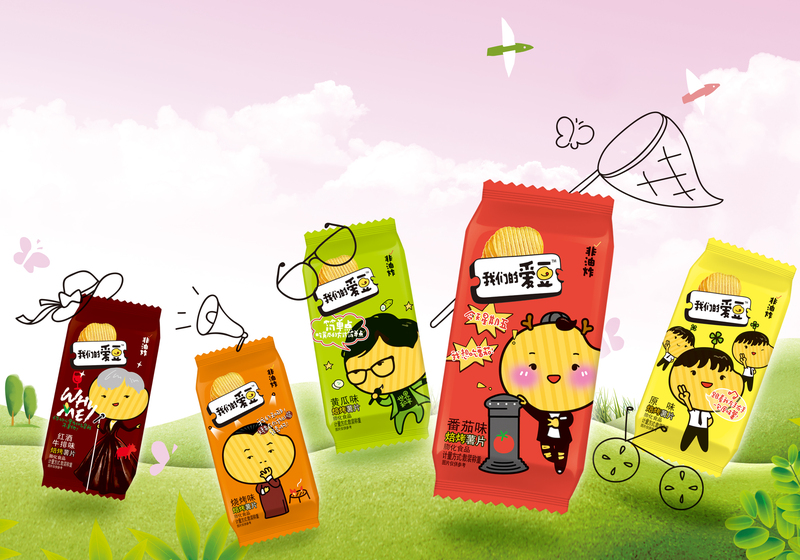 Weilong Food is a well known manufacturer of biscuits with over 25 years of experience on the Chinese market. The idea of brand new potato chips is directed to the young generation and suppose to help a manufacturer to hit the market with the original look. GLBA China has decided to attract the consumers by divining through the top trends and cultures. As known young people carefully follow social media and news, wanting to know and get everything about the idols. Flamesun Team has created illustrations of the selected celebrities, prioritizing high stability and recognition. Packages have different colors representing flavors and suiting chosen image of stars. Besides the package design, GLBA Shanghai has created the AR game for ‘Our Idols’ brand. Design lets the goods and consumers be more connected. AR technology give the opportunity to choose own Idol by voting on the platform and decide who wants the most to be on the package. The product was launched in the middle of 2017. After 3 months of entering the market, ‘Our Idols’ potato chips has achieved a big amount of sales and very positive feedbacks. By the end of the year 2017, total sales value as over 80 million RMB.